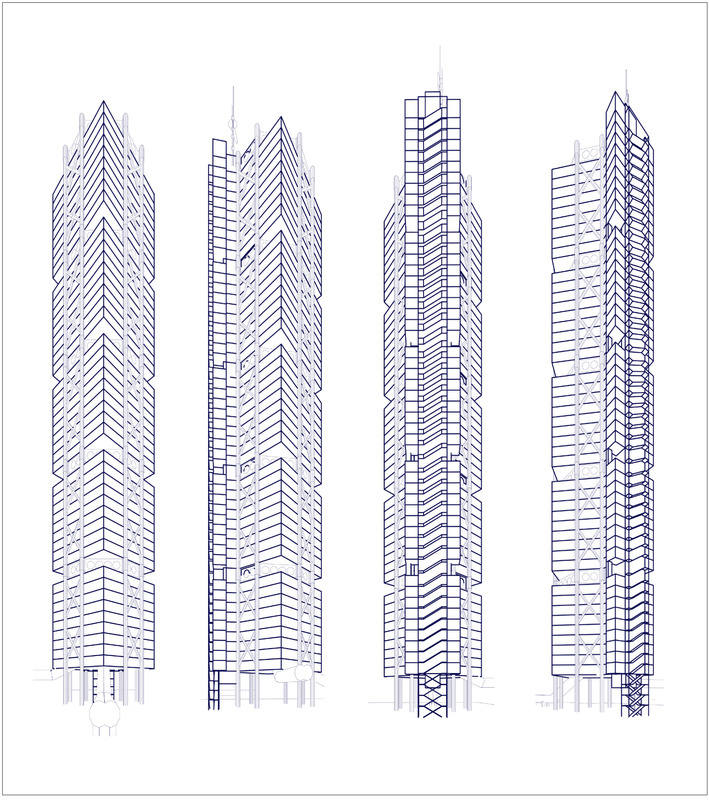 For an architectural research project, drawings of a skyscraper, the drawings included floor plans, elevation views, perspectives and schematics. The project had a very technical approach, so we used just line drawing in dark blue. The result was printed on yellow thin paper.